Hydraulic extension with a 20′ reach. 5,000 lb lift capacity. 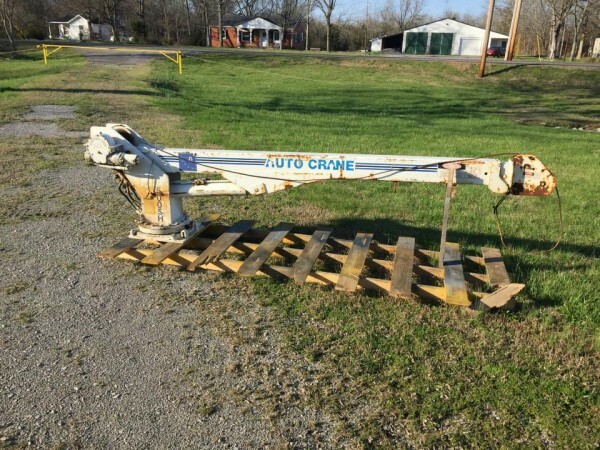 Crane only, no controller included. Worked great when removed from our truck. Please call Chad for more information about this item 931-637-3170 or email for more information.